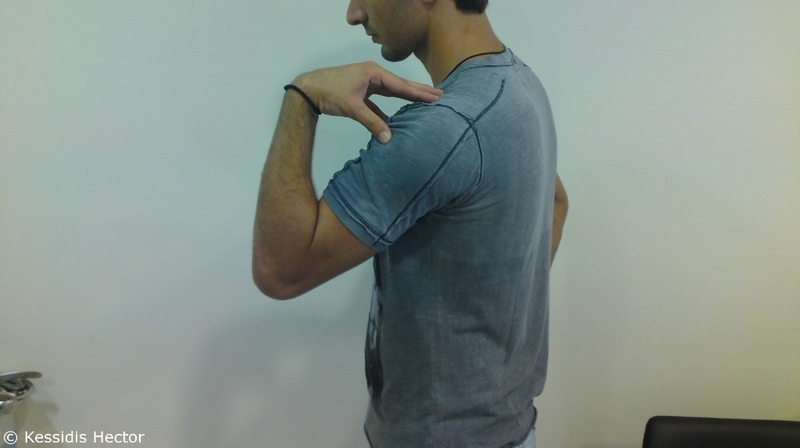 Patient T. (17 year old) presented with post-traumatic flexion-extension contracture (immobility) of the left elbow. Eight months ago, during the competition, he had a dislocation of this joint. The dislocation was reduced in the emergency room of the on call hospital and a cast was placed for a period of six weeks. After removing the bandage, the elbow joint had restricted range of motion. In order to restore it, six weeks after the cast removal, the patient was operated, however without results. During the examination, the joint range of motion (ROM) was 35 degrees. Plain X-Ray images as well as Computed Tomography scan images revealed the presence of ectopic ossification (bone spurs) blocking the function in the area of the affected joint. During the second surgery, performed in our Institute, the joint was released from bone spurs and an Ilizarov apparatus was placed for the elimination of contractures. On the seventh post-operative day the gradual elimination of flexion contracture and then extension contracture of the joint. The treatment lasted for two months. Joint function was fully restored. At the follow-up examination the patient was satisfied with the results of the treatment.